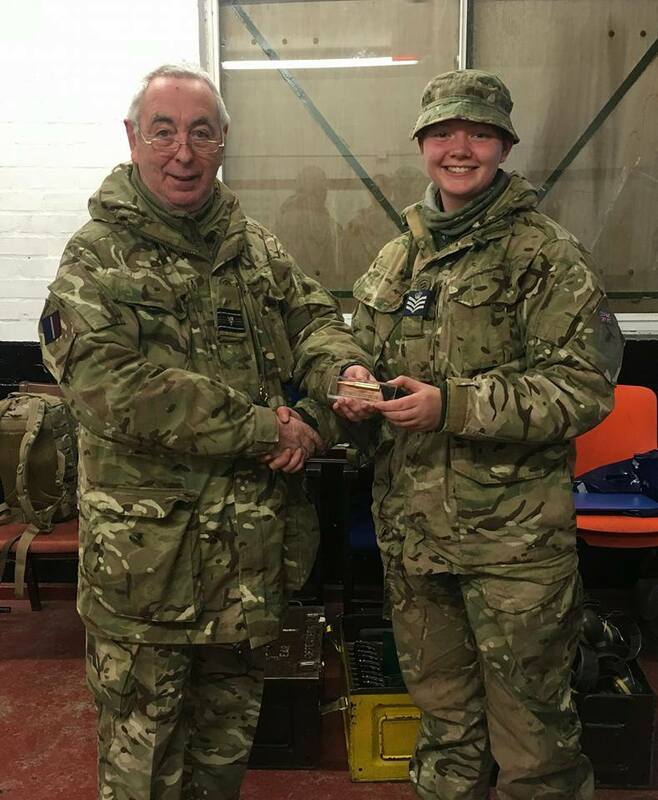 84 Squadron are incredibly proud of Flight Sergeant Phoebe Jenner for bringing home the winners trophy for the 2016 Martin Trophy Shooting Competition held at Kingsbury Long Range on a cold mid-November Sunday. The annual competition has been devised by the Wing Shooting Officer, Squadron Leader Doug Martin RAFVR(T) to ascertain who is the best shot in the Wing on the L98A2 rifle. Cadets are put through their paces testing their marksmanship skills to the max with a shoot involving distances of 100 and 200 metres. The competition is always held at the end of the year so the most cadets can take part meaning all those with previous experience are competing against new comers who may only have learnt the weapon skills during that year. If they have had experience on a short range, they all qualify for the long range opportunity.